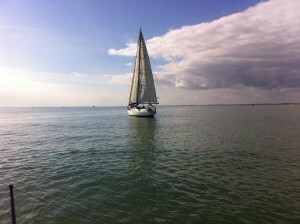 Light Airs & Fine Weather. 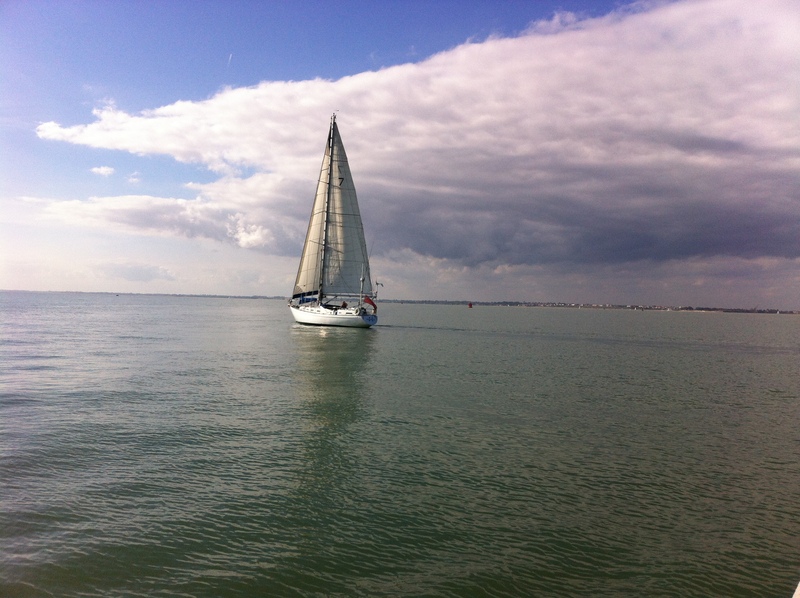 A beautiful late September week end. 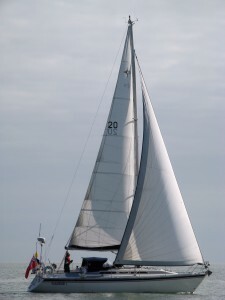 ‘Talisker l’. 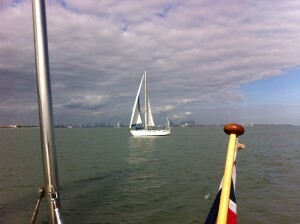 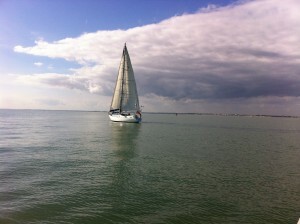 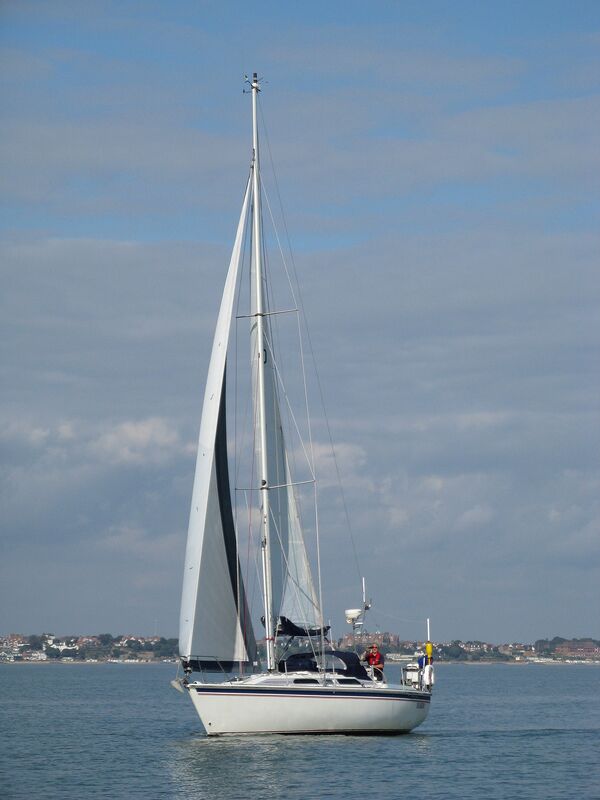 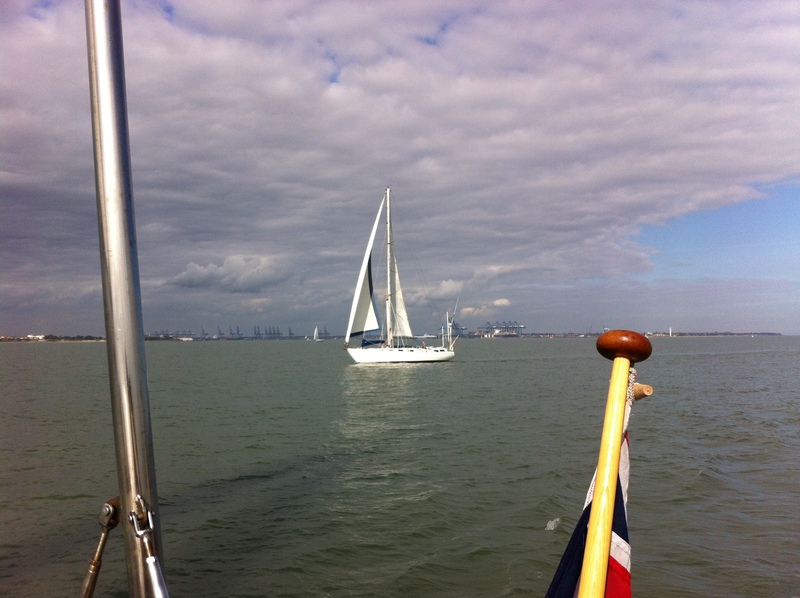 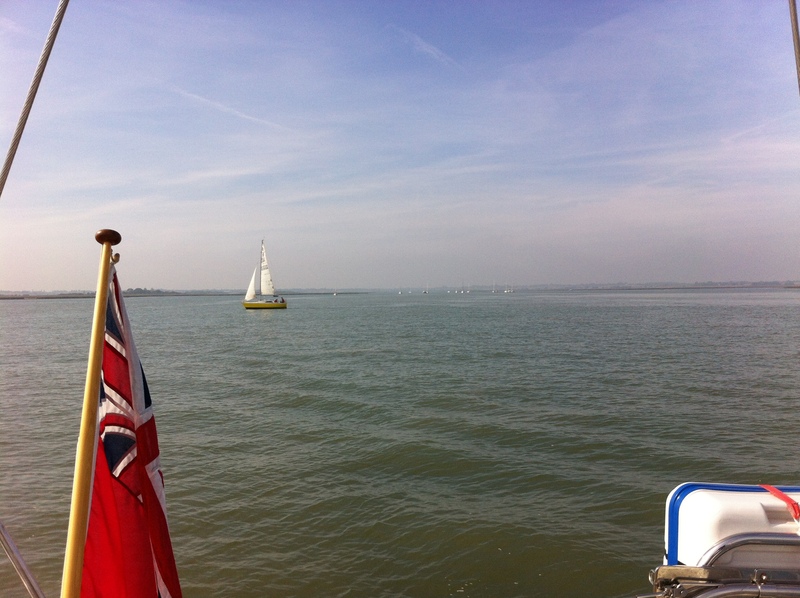 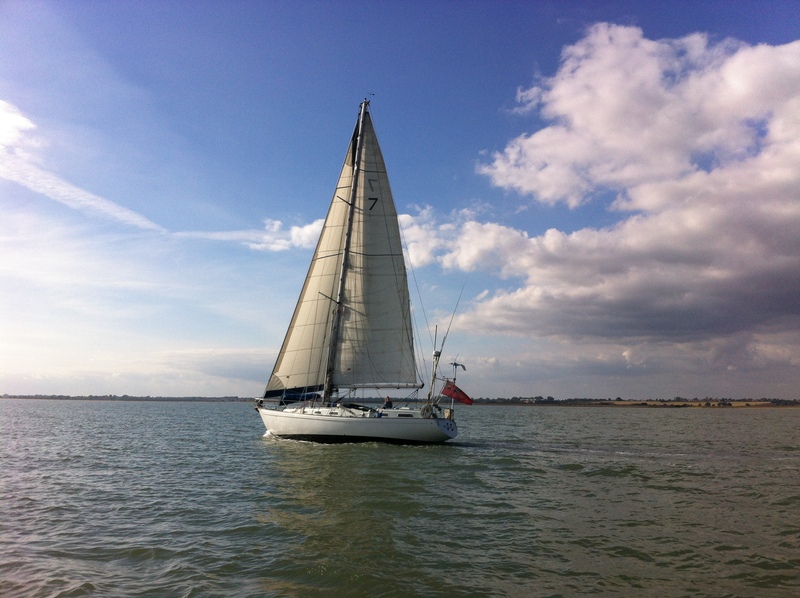 We are at Languard outward bound photographed by Bill on ‘Livia’ inbound from The Deben. 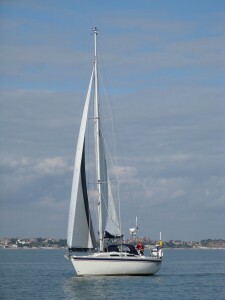 Bill & Cathy on ‘Livia’ and ahead Graham & Gillian on ‘Hannah’. ‘Tuesday’ & Doc. 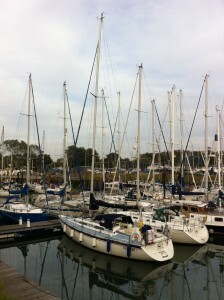 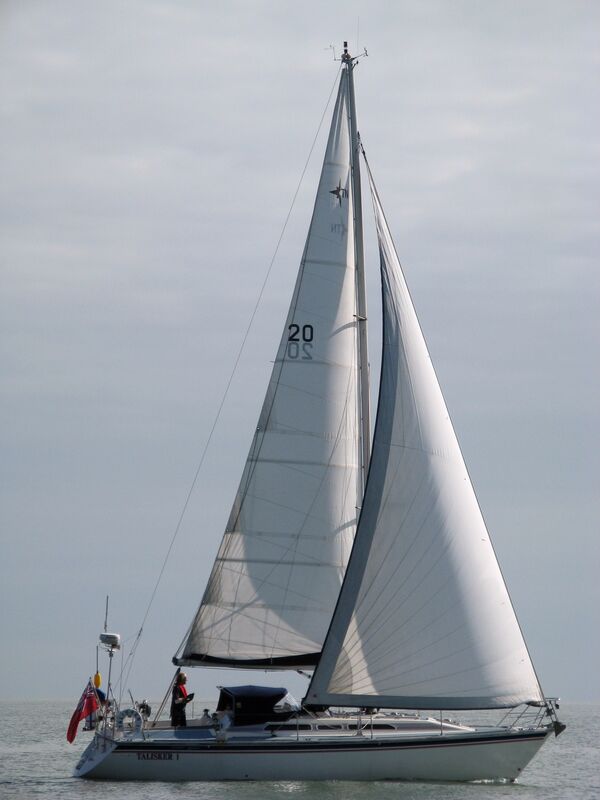 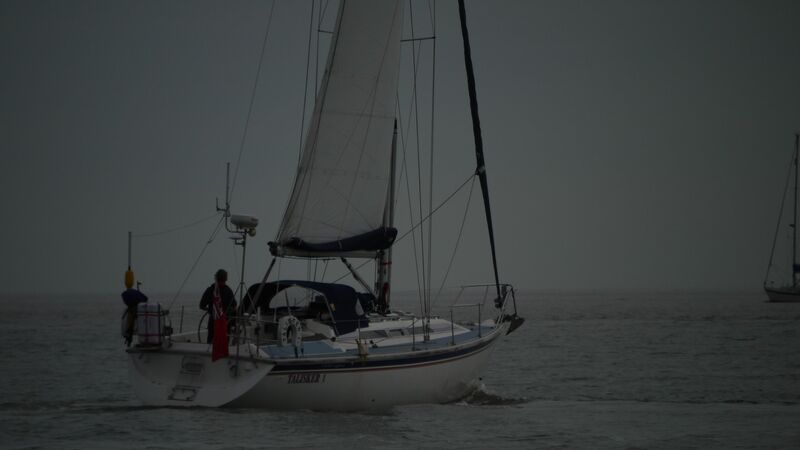 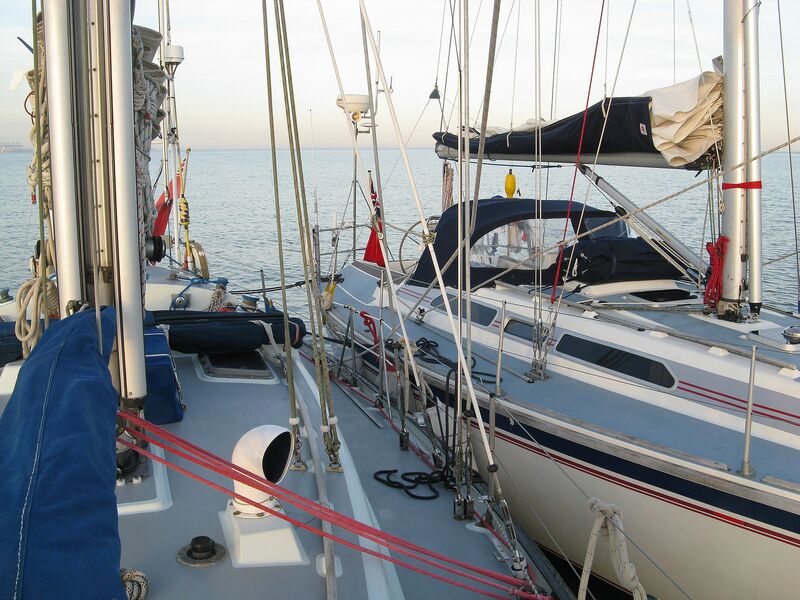 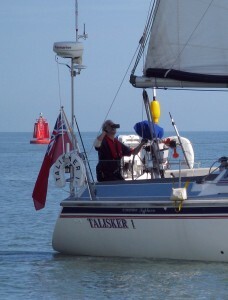 This was my first experience to sail ‘Talisker l’ in very light airs. 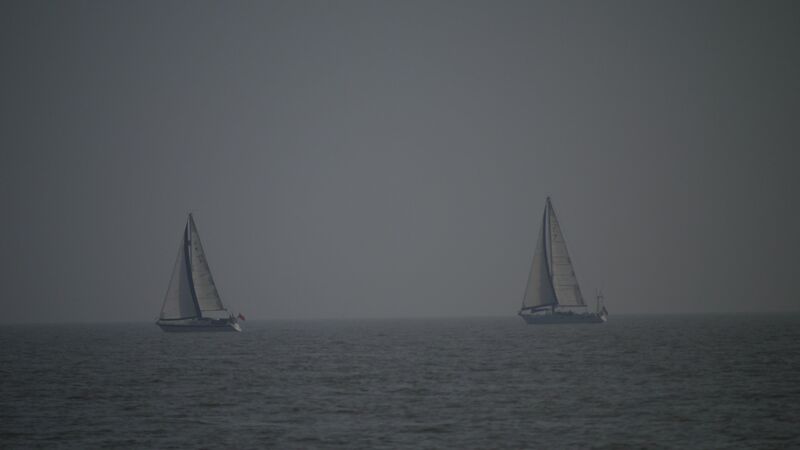 We met them off Felixstowe Pier. 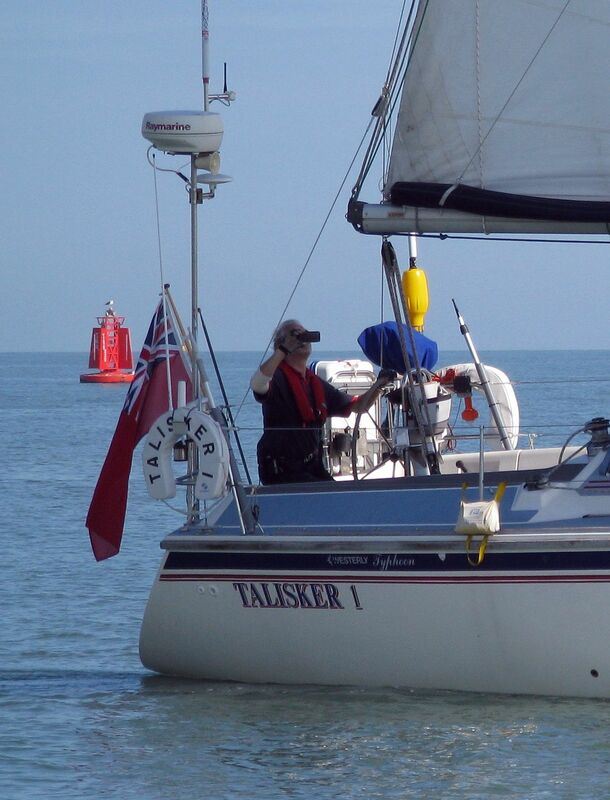 And ‘Talisker l’ does sail well in these conditions! 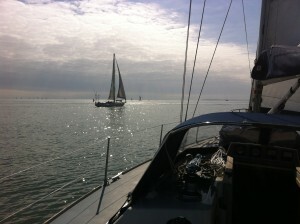 ‘Tuesday’ heading for Hamford Water. 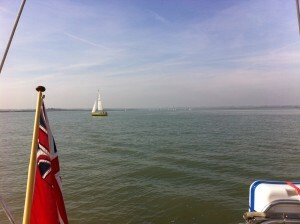 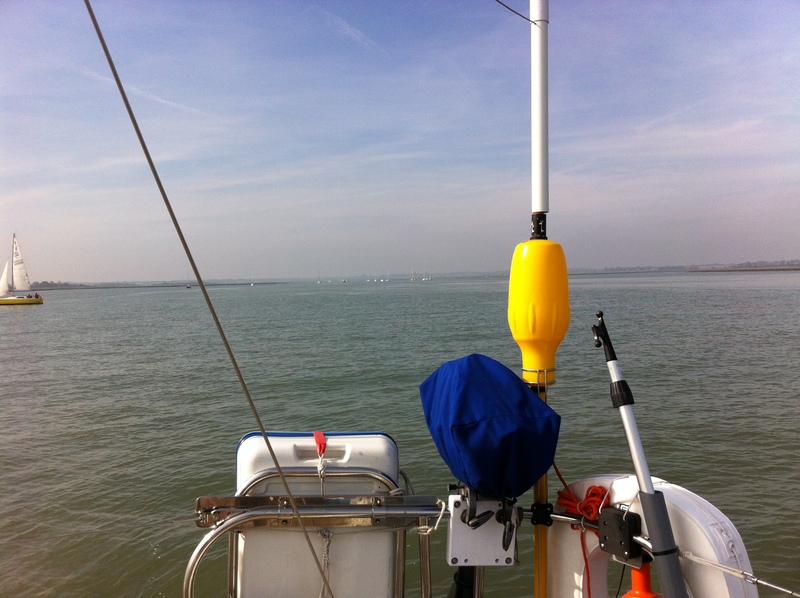 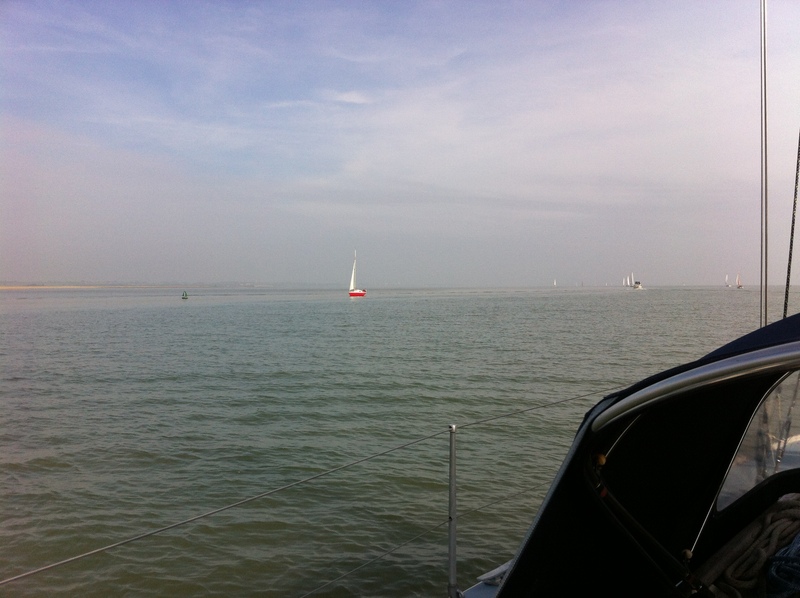 ‘Tuesday’ photographed from ‘Talisker l’ on our way in to Hamford Water. 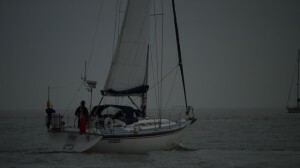 Rafted up to ‘Tuesday’ in Hamford Water Saturday evening. 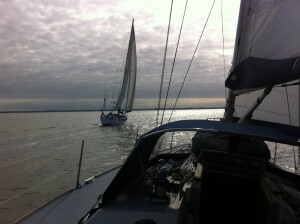 Sunday morning anchored in Hamford Water. 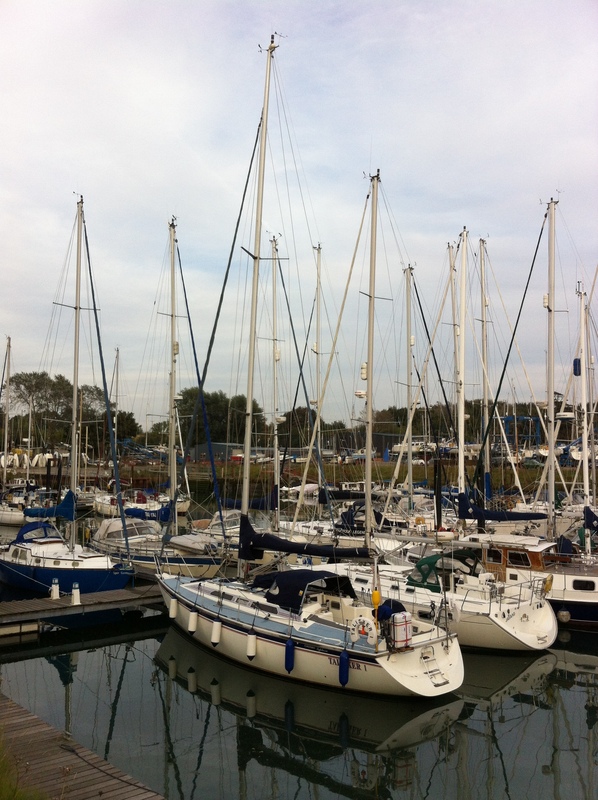 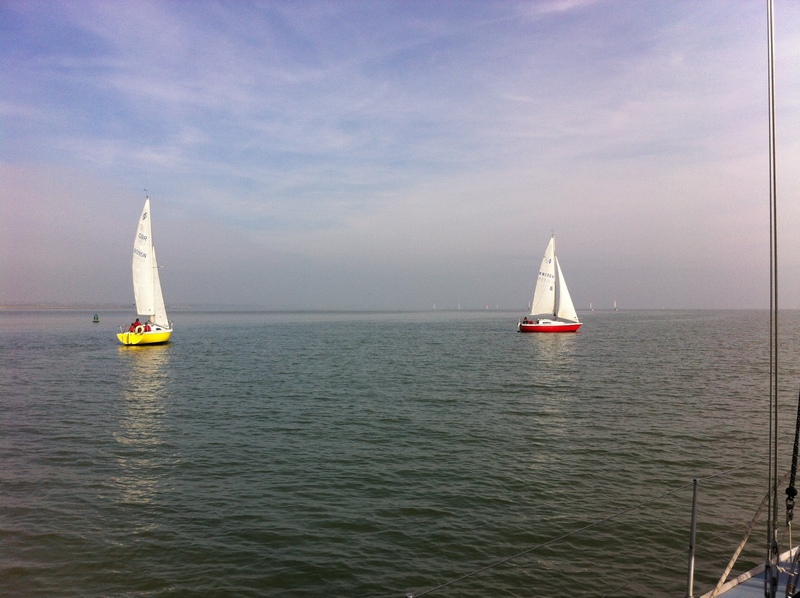 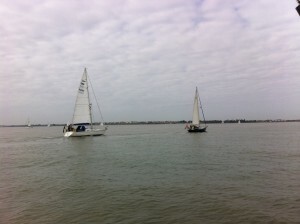 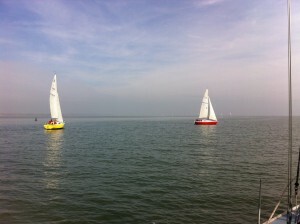 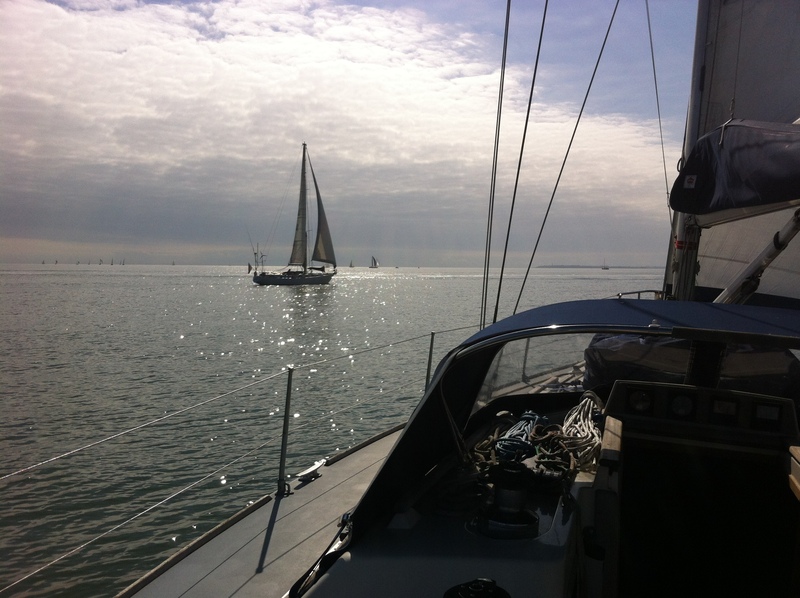 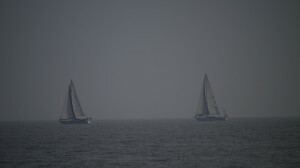 Two Hunter Sonatas, each with a crew of young sailors. 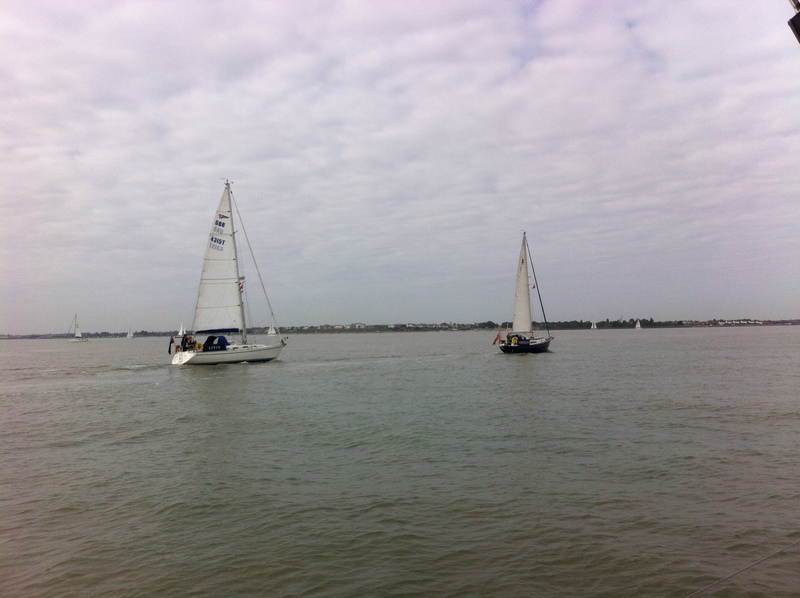 ‘Dura’ & ‘Tuesday’ off Woodbridge Haven heading back to Orford. And she does sail very well in light airs.